Explore all the features of Clip Studio Paint for 30 days! Don't forget to register a CLIP STUDIO account to unlock all features and save your work during the trial period. Click here to download the latest version or update your current software. 1. Run the installer and follow the instructions to install the software. 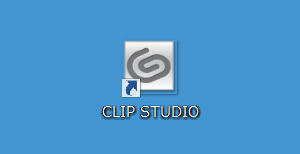 Click the “CLIP STUDIO” icon on the desktop. Open the “Applications” folder > “CLIP STUDIO 1.5” and click on the “CLIP STUDIO” icon. 3. Click “PAINT” to launch CLIP STUDIO PAINT. 4. Get started in Clip Studio Paint with our official tips and tutorials. 5. Sign up for a Clip Studio account to unlock all features! Make sure to register a CLIP STUDIO account to save your work and unlock all features during your 30-day trial! If you use the trial version without registering an account, some features will be restricted. Software Know-How and TIPS for Creativity CLIP STUDIO TIPS From beginner tutorials for a first digital drawing experience to TIPS on the many useful tools in CLIP STUDIO PAINT -Learn according to your proficiency level! Q&A Community “CLIP STUDIO ASK” You can discuss with other creators about any questions relating to creating art. We hope for you to use this service as a place to exchange all kinds of information related to creative activities. Material Database “CLIP STUDIO ASSETS” Download everything you need from brushes and backgrounds to 3D objects and color sets. Over 10,000 free materials are available for personal or commercial use. You can download and use Clip Studio Modeler, a tool to set up 3D materials for Clip Studio Paint, for free. With this tool, you can import 3D data made with other software and configure them for use in Clip Studio Paint. Download this package if you delete any sub tool settings by mistake. You do not need to install this data when you are installing the application for the first time. These are available to be used only for exploring the various features of Clip Studio Paint. DEBUT These will not open in Debut version. Samples for EX version which collates a book of several pages into a single folder.